Why Buying Lab-Grown Diamond Today Is Worst Decision? So you out there looking for best deals for a loose diamond. Someone told you to go for lab-grown diamond, as its cheap and you get a big size for less money. Wait, let me tell you here why you should not go for lab-grown diamonds. Just because it is cheap and you can buy a bigger size at a low price, you may take the wrong decision. The biggest question here you should ask yourself is “Does it really worth your hard earned money? NO, is the correct answer. Cheap? Big Size? It could be the worst decision of your life. Well, We are not here to scare you. We always believe in sharing unbiased views and secrets of the diamond industry. As we have received numerous emails asking about the lab-created diamonds. 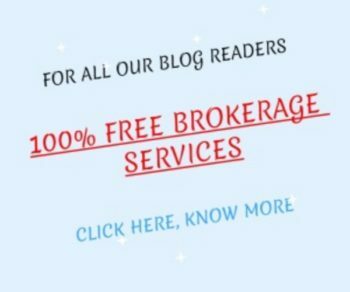 We thought to write up as a blog post that might be helpful. Why Avoid Buying Lab Grown Diamond? 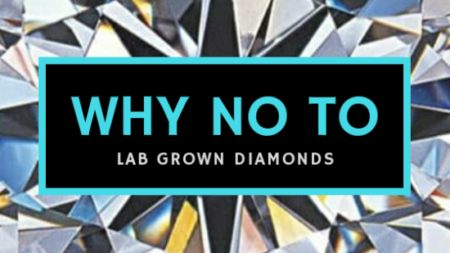 There are many reasons why you should definitely not go lab-grown diamond. We have stated 2 major points that might help you to evaluate the biggest reason to avoid synthetic man-made diamond. DeBeers recently announced new fashion jewelry brand “LightBox Jewellery” for Lab-grown Diamond. Before this, Synthetic diamonds use to sell an average 20-30% discount of natural diamonds. However, with mass production power, Debeer’s Lightbox can offer the same diamonds at 70-80% discount elimination other lab-created diamond competitors. Price will go down with time and development of new technology. For eg: Lab-Grown Diamond which use to sell at 4000 USD is now available at 800 USD from LightBox as fashion jewelry. It does not happen to the price of natural diamonds. DeBeers move of launching LightBox have raised many questions for its existing customers. This move by DeBeers was to protect the trust of the customers towards diamond by creating two different markets for laboratory-grown diamonds and natural diamonds. As product line and aim of LightBox Jewelry is to create “LAB GROWN DIAMONDS AS FASHION JEWELLERY”. You can buy it just for fun as you do with CZ or Moissanite or Fake Crystal Diamonds. However, It’s not rare, not unique & with price depreciating. Its considered as a bad investment and have no resale value. Instead Of Lab Grown Diamonds What Could You Buy? I have the answer to your next question. You could either buy other stones like Ruby, Sapphire, Topaz etc which hold the real value that can be pass from generation to generation. An engagement ring is a lot more of emotion than just a piece of stone and metal. So I always recommend going for a diamonds or other preferable natural precious gems. If budget is the concern choosing other stones over a diamond. Let me tell you there is a natural diamond for almost every price. Lab-Grown Diamonds just can be bought as fun fashion jewelry like Cubic zirconia or Moissanite. But make sure you don’t end up paying more which doesn’t hold value at the end. Above expressed statements are my personal views and doesn’t mean to harm anybody’s feeling or sentiment. Use below comment box to add your views and let’s make healthy interaction which is beneficiary to end users of natural diamonds.